Welcome to one of the leading ​domestic and commercial cleaning companies in Bolton. Our Bolton cleaners have over 13 years of experience and by combining this together with excellent customer service skills, have acquired hundreds of happy and long-standing customers. We work around the clock 24 hours a day, 7 days per week, to provide the people of Bolton cleaning services they can be confident in. Whether you require a one-off clean or a long-term partnership, our experts will be on hand to cover all of your needs. 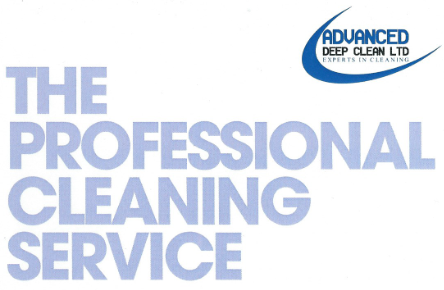 Advanced Deep Clean can provide you with a fully bespoke package for your home or business. We carry out our office and commercial cleaning services in Bolton for a vast array of small, medium and large businesses. 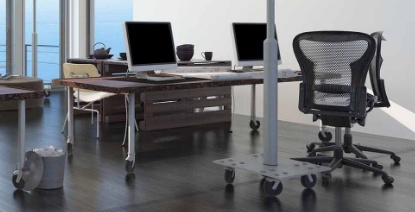 A clean and aesthetically pleasing environment is satisfying for both your customers and staff members. Advanced have the experienced manpower and commercial knowledge to understand how a business needs to look and feel from a professional standpoint. Please click here to see the types of businesses we help with our commercial and office cleaning services. All aspects of industrial cleaning are covered by Advanced Deep Clean, including one-off cleans, washrooms and full builders cleans. We appreciate that a clean working environment for our clients is important from a hygienic and also health & safety perspective. Your business will benefit from both at a really high standard from our local Bolton cleaners. Please click here to see the types of businesses we help with our industrial cleaning services. If you require affordable domestic cleaners in Bolton, you can have peace of mind as Advanced provide an excellent service that is fantastic value for money. This can be an oven clean or even a complete home cleaning makeover. Whichever type of clean your home or property requires, our friendly team of experts will be on hand to help and to use an old cliche, no job is too small(or big). Please click here to see the types of residential customers we help with our domestic cleaning services. The necessity to protect all generations in a clean environment is something we take very seriously. Having all been through some level of schooling at a point in our lives and working with the majority of local schools, colleges and universities gives us an A* in cleaning educational premises. All members of our team have received Disclosure and Barring Service(DAB) checks. Please click here to see the types of clients we help with our educational premises cleaning services. A very important and popular service that we provide which includes us inspecting the ducting and carrying out the extracting of grease where necessary. This being overlooked can lead to serious consequences for a premises and everybody inside, just ask the London Fire Brigade; they report on average, kitchen extract ductwork leads to a fire once every 9 days. 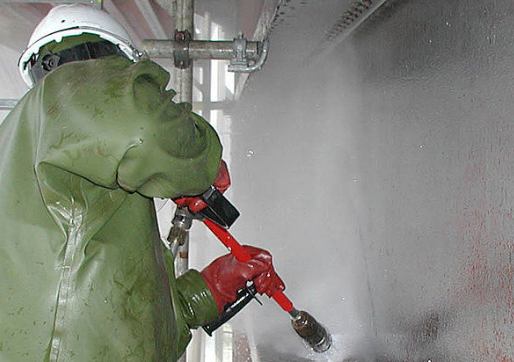 The correct removal of grease can reduce the average of this number and help to keep yourself, occupants and your property safe; we strictly abide by the TR19 guidelines, which is a good practice for internal cleanliness of ventilation systems. Please click here to see all of our specialist cleaning solutions. The correct tender loving care can bring life back into your carpets. 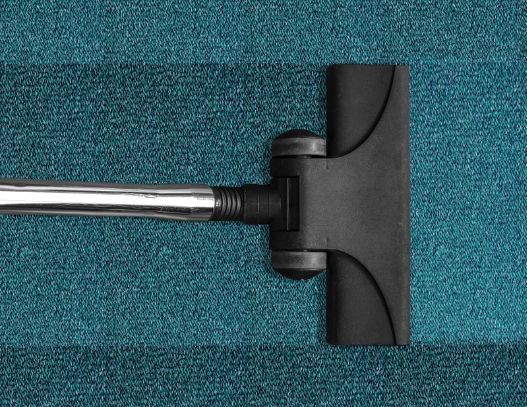 We will remove stains, dirt and allergens, all of which will result in more visually pleasing carpets and get them back as close to that 'out of the box' look as possible. Our carpet cleaning experience ensure a professional job. It could be unexpected burst pipes or an exploded boiler, but our Bolton cleaners can be on hand to your commercial or domestic property to carry out the work required in a professional and sensitive manner. During another difficult and sensitive time for both homes and businesses, we can handle the cleaning side of the properties in a prompt and professional manner. When we started out many years ago, we aimed to be the best cleaners Bolton Lancashire had to offer. As time progressed and our clients kindly continued to recommended Advanced to their friends and family, we have taken our services outside of our home town and throughout Cheshire and Lancashire. So when you requires the services of a "cleaner near me" and you are based in-and-around the following areas, please contact Advanced Deep Clean and let us know what how we can help you: Bolton, Manchester, Wigan, Blackpool and Leeds . ​As one of the leading cleaning companies in Bolton, Advanced Deep Clean offer professional industrial, domestic and commercial cleaning services. We guarantee to get both your property and equipment as close to 'out of the box' as possible. ​Our technicians are fully qualified, DAB checked, insured and fully health and safety trained. The equipment we use is RCD compatible, PAT certified and fully up to date. Please get in touch with Advanced Deep Clean now by clicking here to call, or fill in our contact form on this page and one of our experts will contact you back ASAP. We can discuss your cleaning requirements and arrange a convenient time for us to visit your premises and provide you with a free quote.